Yes, Taco Cabana is a great suggestion. It's the chain taco place down here and it's 24 hours. I'm driving down from Austin and will be passing by Franklin's. If you guys want I could pick up some BBQ on my way down. They do take pre-orders, but you have to order at least 5 lbs of BBQ. Though the way they talk on their website, it isn't a guarantee to be able to get a pre-order in for a specific date. Drive would take me about 90 minutes from Franklin's to the convention center, depending on traffic. Course, I'm a stranger to you all (hi, I'm No1Complainer) and getting food delivered to you from such after 1.5 hour drive is extremely risky. Side note, when I was down in SA about a year ago me and a buddy (and his buddies) went to a small taco/nacho place. It was in a residential area. The place had a very strong backyard-family vibe to it. Pretty large selection of beer, based on their appearance. I faintly remember a small playground in the vicinity (or even the premises, I can't remember). Also had porta-johns in the back. Food was pretty decent, good prices. I mainly liked it for its atmosphere and beer selection. All I remember is that it is West of 35/87. My buddy was staying at a hotel off of Santa Rosa and Cesar Chavez, so it was near there. If anyone knows the place I'm talking about, please give me the name, it would be greatly appreciated. EDIT - Nevermind, I found the place by exploring Google Maps. The place is called The Friendly Spot, address is 943 S Alamo St. This is the best BBQ I've had in SA. Thanks for the suggestions, I'm coming from the Pacific NW, never been to Texas. What is close to the Convention Center that you guys would recommend if I wanted to grab a few beers with lunch? The way I see it, every life is a pile of good things and bad things. The good things don't always soften the bad things, but vice-versa, the bad things don't necessarily spoil the good things and make them unimportant. My favorite lunch spot near the convention center is Schilos' Deli. It's an old-world German delicatessen just two blocks away, with great food and a limited but high quality selection of beer. It's the only place I've ever been that had Spaten Optimator on tap. Welp. My evenings are planned. This isn't much of a "Texas experience" but personally when I'm with friends in San Antonio we like to go to Dicks mainly because it's the closest one to us. It's fun to go there with friends but I wouldn't really go with kids under the age of 13 or 14. It's the only place I've ever been that had Spaten Optimator on tap. I know Flying Saucer has had that on tap before. But I wouldn't advocate going that far out if it is readily available right there. Just point me in the direction of the cheap delicious Mexican food please. We don't really have Mexican food here, up until recently. Edit: I've also just been told I need to try Shiner Bock, so yeah. Give it a try, but don't expect it to blow you away. On the other hand, Schilos' Deli sounds like a place I must visit. If you're one of those poor, unlucky souls who doesn't get Mexican food ever, and you like spicy dishes, get a good order of chile rellenos. 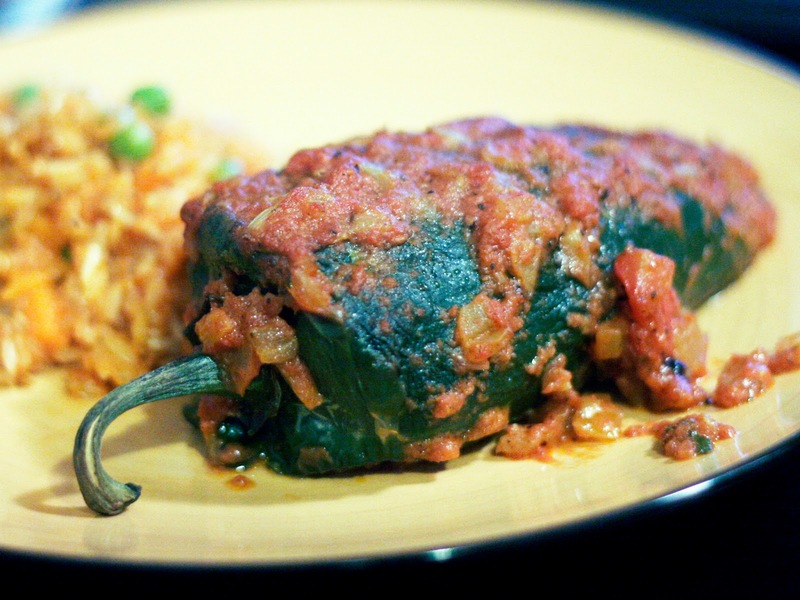 Stuffed, roasted poblano peppers. Most Tex-Mex is just meat, cheese, rice, beans, peppers, (veggies), and hot sauce anyway. Might as well make it the best possible combination of all that. Sometimes a restaurant will actually fry the pepper instead of roasting it. Whatever. Just eat it. If they use something other than poblano peppers though, go somewhere else. Yea I would say most of the Mexican food up here in Eastern Wa is Tex Mex style. Good stuff, but I'm thinking BBQ is what I need! Interesting. Here in Tucson, Chilies Rellenos is usually cheese filled. And all the ones I've had are egg battered and fried. SA does Tex-Mex better than anybody, but for legit Mexican, you'll want to go to one of Johnny Hernandez's places: La Gloria, The Fruteria, or El Machito. You should also make it a point to try barbacoa--slow roasted beef cheeks, with the option of brain and tongue mixed in if you want to go super-authentic, but there's no shame in sticking with all-meat. And though it's not at all authentic, the puffy taco is not to be missed, either at Henry's or Ray's. Could be filled with cheese (usually fresh or panela), or with picadillo. Then they could be either capeados (I think "egg battered" would be a proper term for "capeados") or covered in nogada and pomegranate (chiles en nogada), which is actually sweet (also filled with sweet picadillo). Or you could even cover with cream and more cheese! There are many ways to do Chiles Rellenos. THIS. Barbacoa in soft tortilla de maiz (corn), with cilantro, lime juice and salt, salsa, chopped onion (I don't like it personally, but it is very very common), and you got yourself THE taco of barbacoa. My favorite place in San Antonio is Boudro's on the Riverwalk. I go there every time I stay by the Riverwalk; their tableside guacamole is out of this world. I've never eaten dinner there as its a little pricey, but even locals that I know are fans. Lucianos (river level, downstairs from the Fogo de Chao) is pretty ace if you're in the mood for Italian. Everything I had/sampled there was above average. Great oil and spices with their bread, too. They were friendly to my con friends, too. The newspaper here printed Boudro's guacamole recipe sometime back. I have it. It is literally the best guac anywhere. And yes, I echo that you want to get yourself a stuffed poblano pepper if you can. Oh what the heck, I just realized I live like a 5 minute walk from the Old Smokehouse. Why have I never been there? I have to say, the mole isn't as good as mole I had in New Mexico. It wasn't spicy and no discernible chocolate creaminess at all. Just... brown? It didn't hit the spot. I've had Fogo de Chao in Dallas, they were incredibly expensive but absolutely delicious. Can't go wrong with an endless buffet of grilled meat. If it's not to cold out, you'd probably also really dig The Beethoven. It's an old school beer garden in south town, but they don't really do food except on first Fridays, during Fiesta or other special events that they host. The food court at the Rivercenter Mall gets easily crowded. If your not above Mcdonalds, there is one block east of the mall, every convention i've gone too I try going to the food court, but wind up just heading out of the crowd and into the quick service that Mcdonalds has. If you go then let me know what you think. I need validation! Hey whats up y'all. I was in SA this weekend for the Wizard World Comic-Con, and ate lunch at a place called Charlie Wants a Burger. A lot of their stuff, like their pickles are made in the restraunt. I had a portabella gouda burger and it was awesome. It is just a short walk from the convention center. You want burgers? We got you covered. Across the street from the Pearl Brewery is Sam's Burger Joint, definitely worth a look. Also The Cove at about a mile north of downtown if you have a car, taxi, or local chauffeur, they have a really decent bison burger. Further out, go to Chris Madrid's for one of the best, sloppiest, biggest burgers around, or Chester's Hamburger Co. for a burger consistently voted best in San Antonio. A thousand times this. It's a burger you have to cut into quarters, if not eat with a fork and knife. The patty extends beyond the bun to a distance of one or two inches. We had our wedding rehearsal dinner there. At Chris Madrid's, the bun is a decoration. Chris Madrids is a overrated greasy unappetizing burger. Luke on the Riverwalk has an awesome burger and so does Cured at the Pearl Brewery. If you don't mind a bit of travel for a treat, there's two Krispy Kreme Doughnuts about 15-20 minutes from the Riverwalk. Franklin's sounds pretty incredible, I'll try to check it out if I make it over for South.  The OP has been updated with a listing of the suggestions made so far. I'll be updating this sheet as more suggestions are made. I was actually seeing if anyone in the SA area knew of any great food trucks that stop near the convention center? I have always wanted to try a food truck, I watch all the food channel shows about them. lol And I figured since I would be in an actual city they should have some to try! There's a food truck park about half a mile from the convention center called the Alamo Street Eat Bar. I highly recommend it. I have a hard time believing that Luke is not on this list. Great food and the service has been wonderful every time I've been. Best happy hour in the city. Will add. Unless I missed it I don't think it was mentioned before so I never added it. My wife and I's anniversary is on the 21st of January. Can anyone recommend a restaurant on the list (or not) that would be suitable for such an occasion? I'm not willing to spend $100 a plate, but I'm willing to pay well as long as I get what I pay for. We're staying close to the convention center, but will be driving our own car if there's a must-have place worth the drive.